The online food ordering trend really took off in 2016, and many restaurants jumped onto this trend to boost their orders. 2017 is looking to be a banner year for restaurant orders as more and more restaurants and businesses are adding online ordering to their services. 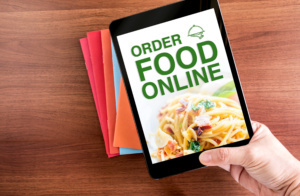 You may be considering adding online ordering to your restaurant but aren’t really sure how well it works. Here is a demo to online food ordering that will give you a better idea of what this process will generally look like, and how you can use this to better the experience for everyone involved. The typical ordering process will start when a person visits your website or any ordering forum where they can access your online ordering system. This is their introduction to your restaurant and your menu. You can give them information about specials or other topics that you think the user may find helpful or enticing about your business. After this introductory information, the user will then come across your menu. They can go through it all and look through the information you’ve provided about the different items on your menu. Prices, portion size, options, and pictures should all be listed to help your user make their selections. As the user goes through the menu, they can make their selections to what they want to order. The selections that the user makes goes into the shopping cart on the website. They can continue going through the menu to pick out more items to add to their order or they can visit the shopping cart. After the selection process is done, they go to their cart. At this part, they can see everything that they have put into their order, along with the price of each item, and the subtotal. This is where the user can go over the things that they are ordering, making changes by adding or removing items, increasing or decreasing quantities, and see how much their order is going to cost with these different changes. times can be estimated. The hard part is over for the customer, and all they have left to do is leave for their pickup or wait on the delivery person. As you can see from this online ordering process overview, there are a lot of benefits that come from offering ordering in this manner for your customers. They have a chance to peruse the menu carefully without being rushed by being on the phone or standing inside your restaurant. They can change up the order easily and will know exactly how much their order is going to cost them. As the order will be listed in the shopping cart, there is no chance for a miscommunication between the order taker and the customer. It makes life easier for the customer, but also for your restaurant staff. Once an online order is submitted, your staff can start preparing it. No time is wasted trying to take the order on the phone. This eliminates some of the hassles for your staff as phone orders can be problematic. You’ll still get some phone orders in, but more and more of your customers will enjoy the convenience of having online ordering. There are a number of things that you should keep in mind when setting up your online ordering. The main way to look at it is you have an idea of the process from the customer’s point of view, and you should use that to inform your decisions. Things like more pictures, tasty descriptions of your menu items, and other things that make your food more appealing to be ordered should be considered. You also want to play around with the interface that your customer will see when they go to place an order. Not all online ordering systems are created equally, so when you find a company that you’re going to use, see how some of their other online ordering websites are designed. 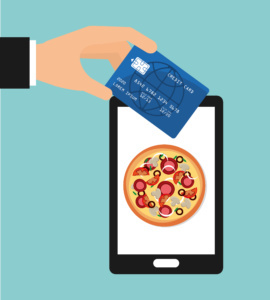 Online ordering is the wave of the future that’s not going away anytime soon. People love the convenience of being able to order anything online, and that includes their food. At the end of a long day or before a big party, there’s something comforting in knowing that a hot and yummy meal is just a mouse click away. Orders2.me is here for you when you’re ready to set up your restaurant’s online ordering system. Get your questions answered and learn more about what you can expect from this process. Contact us today to get online ordering started for your business.